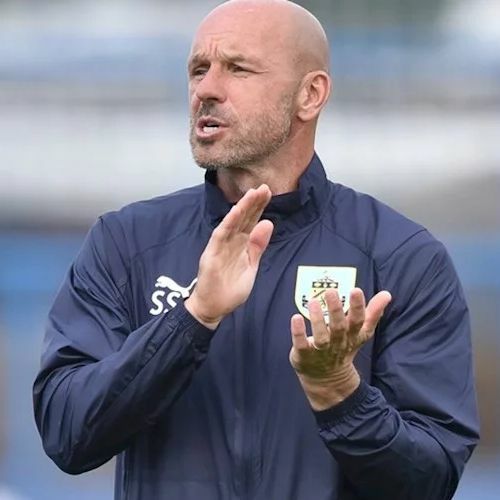 Burnley’s defeat at Bristol City earlier this week allowed Leeds to clinch the northern group title in the Professional Development League a few hours later, and today the two clash in a Premier League Cup quarter-final. The game is behind closed doors at Gawthorpe and will provide us with a tough game against a side that has taken four points from us this season although it might well have been very different having led three times at home. At Elland Road back in October we trailed 2-0 to goals scored by Gaetano Berardi and Kemar Roofe but came back to earn a point from a 2-2 draw with Dwight McNeil and Oliver Younger netting for us. But two months later we led 1-0, 2-1 and 3-2 with goals from Tinashe Chakwana, Dan Agyei and Rob Harker only for Leeds to equalise three times; Patrick Bamford, Jack Clarke and Lewis Baker scored their goals. It all looked set for a close finish but Leeds took it away from us to win 6-3. Izzy Brown scored the goal that put them in front for the first time before Bamford scored twice more to complete his hat trick. The game kicks off at 2:30 p.m.